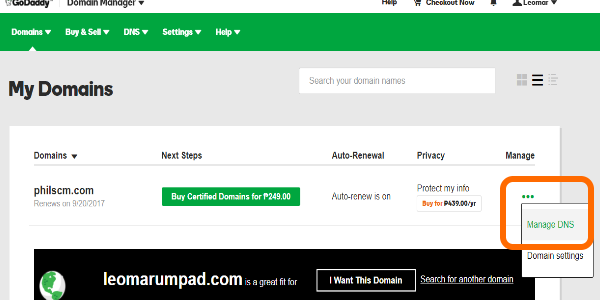 There are times when you buy a domain but have no plans of using it right away. Whether you are still setting up your website and business, or you bought domains in bulk to take advantage of an offer, or you still do not know what to do with your newly acquired domain, parking your domain is a good way to put a domain into hibernation while still reaping benefits out of it. 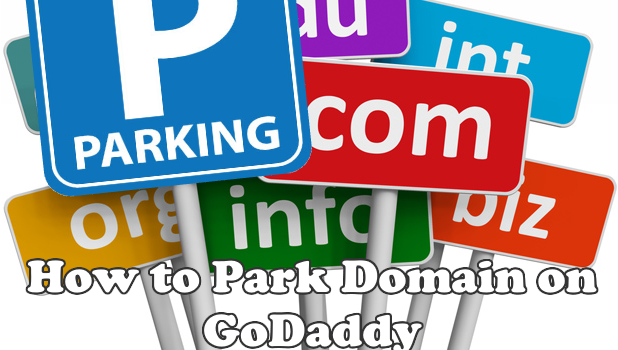 This article will discuss how you can park your domain on GoDaddy. 1. You are too busy with other things. You may have bought the domain because you have plans on using it in the future but your hands are still full at the moment. You may have also bought the domain name to take advantage of the bulk discounts. Whatever is your reason, if you are not planning on using your domain anytime soon, it’s better that you park it. 2. You have no idea on what to do with the domain. If you are still not are not sure on your next move with the domain, we advise that you park it instead of creating a temporary page. 3. You think that an under construction page won’t bring in good results. Pages that are under construction with no definite schedule for uptime may bring confusion and frustrations for the visitors. 4. You have no time of setting up a page. Creating a simple web page takes time. If you want to keep your domain’s presence online without having through the hassles of setting up a web page, parking your domain is a simple way to maintain your online presence. 5. You do not want to incur maintenance on running a website that you are not yet using. Running a website for the sake of keeping online uptime may cost you resources. Parking your domain is a better option than maintaining a site. 6. You want to get passive income. Registrars often put ads on a parked page. Depending on your registrar’s profit-sharing scheme and your domain name’s marketability, your portion of the revenue from ads that are displayed on your domain may cover the domain renewal costs or more. 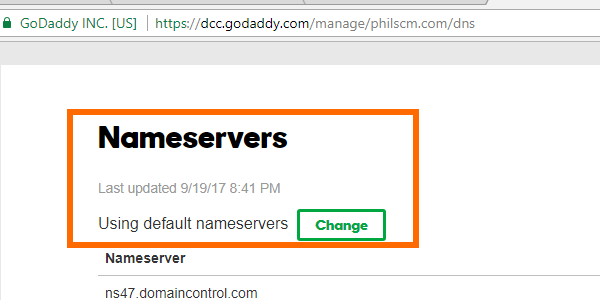 Before proceeding with the actual steps on parking your GoDaddy domain, you need to ensure that your domain’s nameservers are set Default or Standard. By default, a domain’s nameservers are set to Default or Standard. You may have changed your nameservers for a variety of reasons. Here are the steps to set them back to Default. 2. Click on your username in the top rightmost part of the screen. 3. Your account details will expand. 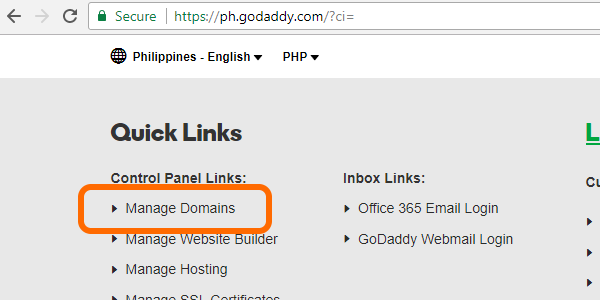 Click on the Manage Domains link. 4. 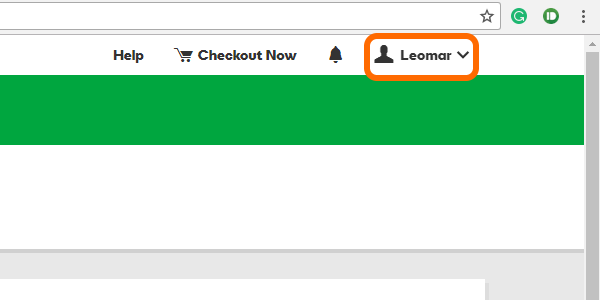 On the domain name that you want to park, click on the More options (icon with three dots) below the Manage column in the right part of the screen. 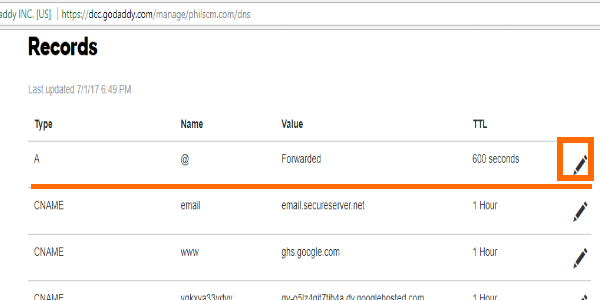 Choose Manage DNS. 5. 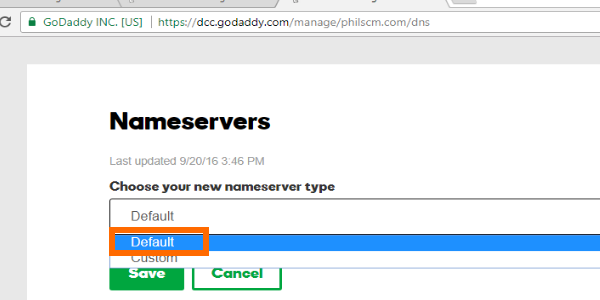 From the DNS Manage page, scroll down until you get to the Nameservers section. 6. 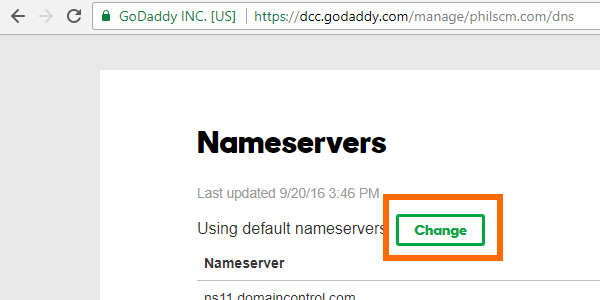 In the Nameservers section, click on the Change button. 7. 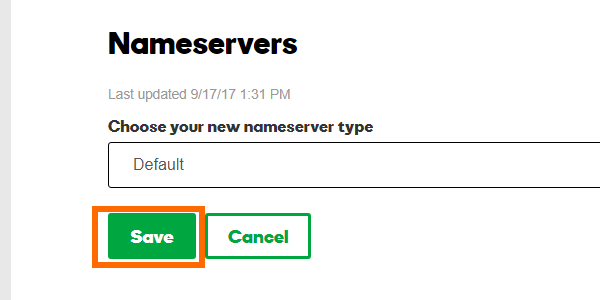 You will be given an option to choose your new nameserver type. Select Default. 9. You are now using the default nameservers. 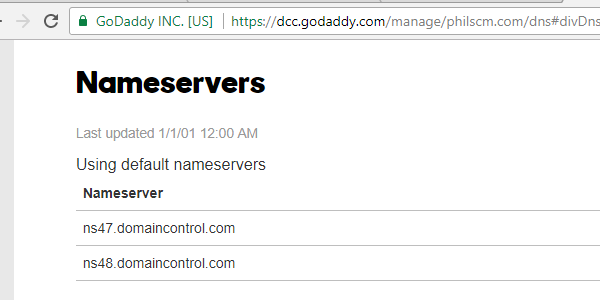 Now that you’ve set your nameservers to default, you proceed with the steps on parking your domain on GoDaddy. 5. Go to the Records list and click on the pencil icon for record type A. A pop-up screen will show. 6. Enter the details for the host and the IP address. 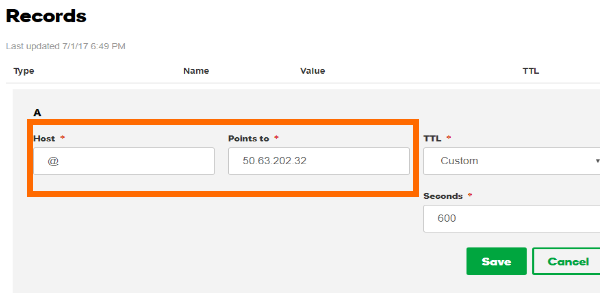 For the host column, enter “@” and enter the IP address 50.63.202.32 in the Points To column. 7. Choose and enter your preferred TTL (time to live). 8. Click the Save button. You have just successfully parked your domain. 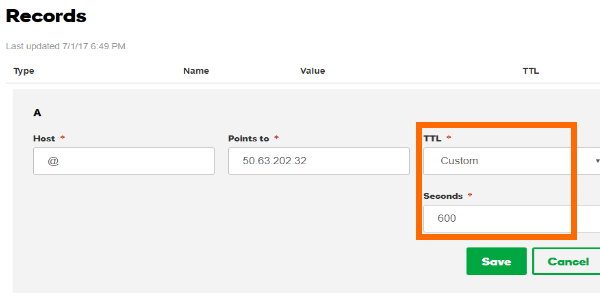 Tip: If an IP address is already listed in the Point To column, copy and save the IP address as you will be using the same IP address when you decide to unpark your domain on a later date. You just learned how to park your domain on Godaddy. Do you think parking domain is a good practice? What are your thoughts on parking domains? We would love to hear them in the comments section.